Light & Shadow | How To Use f/Stops & Shutter Speeds To Bracket Exposure. Photographic images are recorded by using light. Photography literally means “drawing with light”. Light is also a critical element in the design and emotion of an image. Take photographs where the function of the light and shadow are to create design and evoke emotion in the viewer. You’ll also be paying special attention to exposure in this assignment. As you shoot “bracket” your exposures. Start by framing and focusing on your subject. Expose the first frame at your meter reading. Try starting with f/8 at 1/250 of a second at ISO 100 on a bright sunny day and adjust your shutter speed as necessary according to your light meter. This is considered your “normal” exposure. Open up one stop for your second exposure and close down one stop (from normal) for your third exposure (i.e. If your “normal” exposure is f/8 then you will shoot at f/8, f/5.6 and f/11. All exposures will have the same shutter speed). For the assignment you will show 3 exposures of each photo using your normal (0), over (+1), and underexposed (-1) pictures. It is expected that there will be many different images representing these assignments. Bracket all of your exposures as you shoot for light & shadow. Direction – Where is the light coming from in relationship to your subject? Front, side, back, above, below? Intensity – How bright are the light sources in relationship to your subject? Contrast – Is it easy or difficult to see the light source and reflections?Are the reflections and shadows bold and strong or are they soft and subtle? 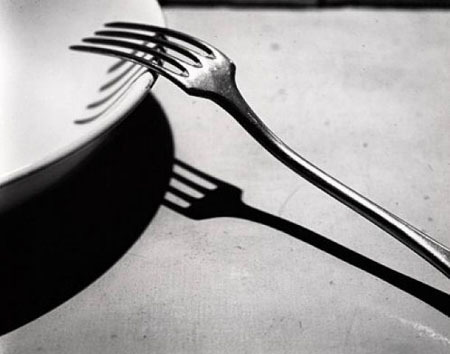 Hardness – Do the shadows have soft or hard edges? Color – Is there a color cast to the light. Golden early morning or late evening light is an example. Blue light just before sunrise or after sunset is another. The Photographer’s Ephemeris has some great tools for understanding the direction and angle of light at any location throughout the year. Check out my blog post on this great app for photographers. Learn how light changes color throughout the day in this great article on Understanding Golden Hour, Blue Hour and Twilights on the PetaPixel website. This assignment has two primary objectives. Technically you will be learning how to use the light meter in your camera for accurate exposures and how to adjust your exposure to create the look and feel you are looking for. Visually this assignment helps you begin the journey of seeing and “sensing” light through photography. Developing a sensitivity to light and how it creates form, space, tone and emotion is an essential element of becoming a photographer.